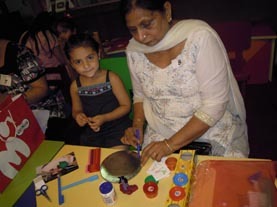 What a beautiful afternoon when all the kids come to the school not with their parents but with their grandparents. 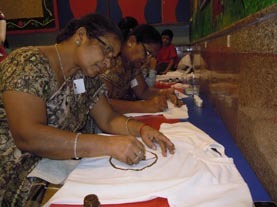 The students of K.R. 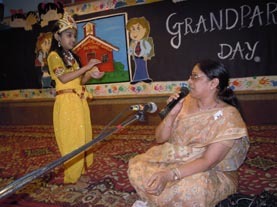 Mangalam World School celebrated Grandparents day with a large number of grandparents tuning out for the function on September 7, 2012. 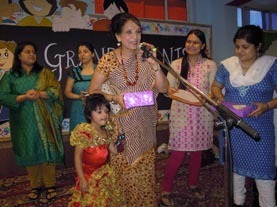 The children performed in their colourful dresses to cheer their grannies and grandpas through their songs, dance and other activities with the theme ‘importance of grandparents’. 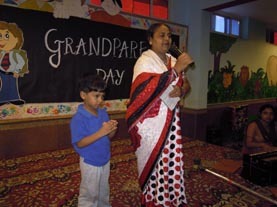 A beautiful power point presentation prepared by Ms. Poornima Malhotra was dedicated to all the grandparents. 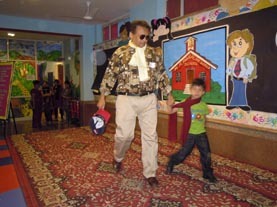 Then the function moved ahead with various competitions like Ramp walk, T-Art, Bhajan singing and Best out of waste where the grandparents and their grandchildren competed. 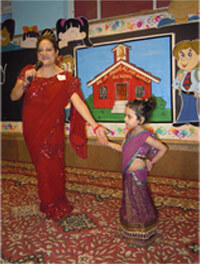 All the nana-nanis and dada-dadis became just child like while doing the activities. 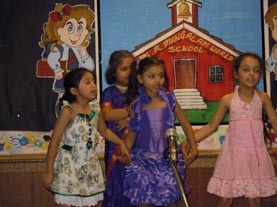 All of them participated with tremendous joy and enthusiasm. 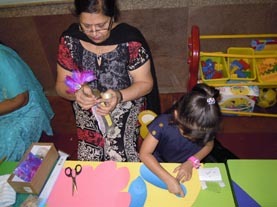 The teachers and the pre-primary incharge thanked each and every grandparent who came and joined the programme with so much of love , even keeping aside their health problems. By being with kids the grandparents looked as if their life has sparkled again . 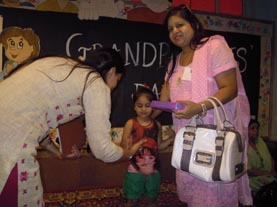 The winners were then given prizes along with their grandparents. At the end , the grandparents were called to speak a few words or share their experience. 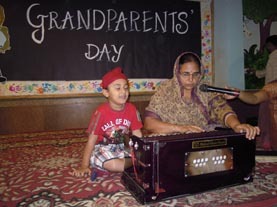 Grandparents conveyed their gratitude to the Principal, Mrs. Meenu Kanwar for giving them such a wonderful opportunity to bond with their grandchildren. 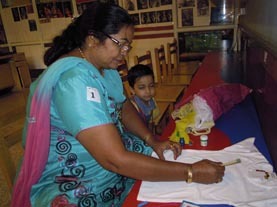 The collective initiative of the students and teachers were well appreciated by the grandparents who were part of the programme.